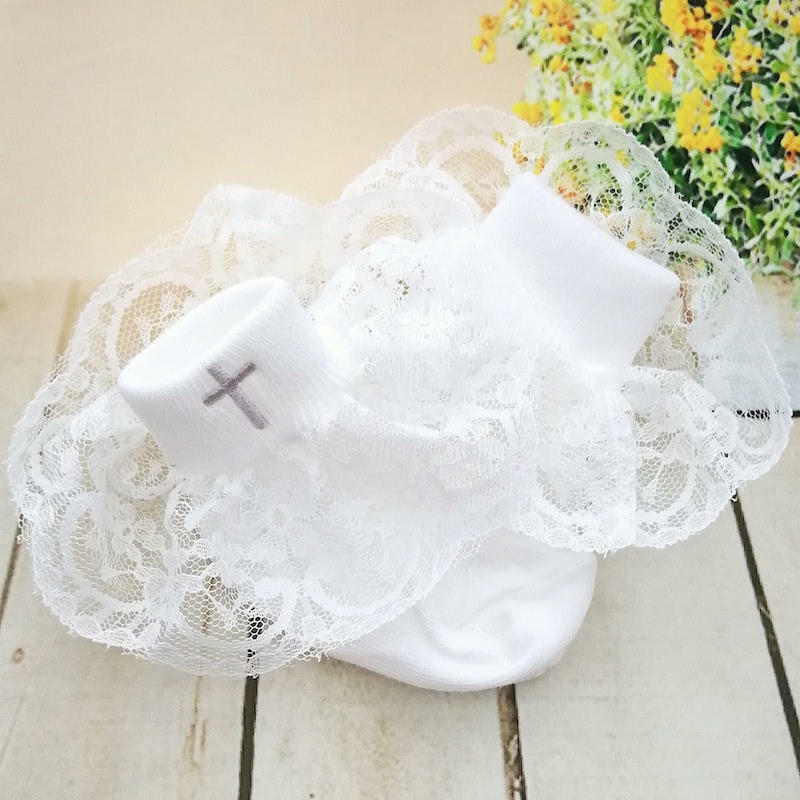 Baby girls white lace socks with silver cross. The perfect christening socks for your baby girls special day. These beautiful socks will perfectly compliment her special occasion dress.